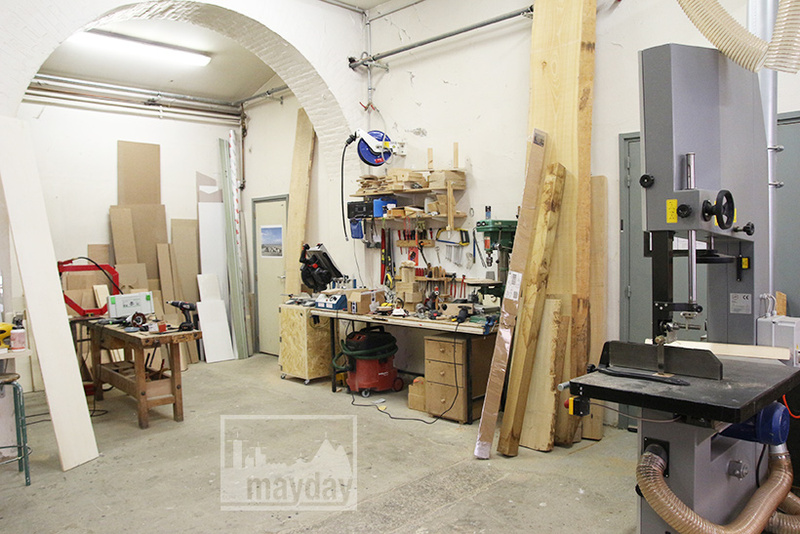 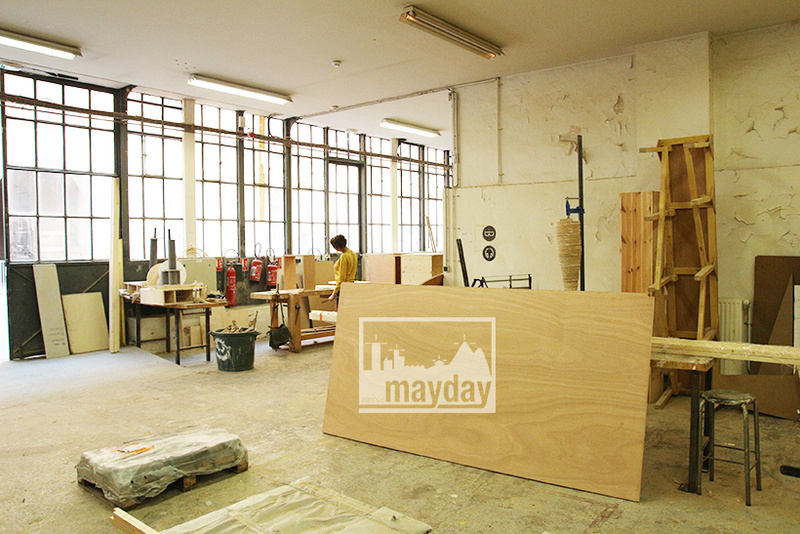 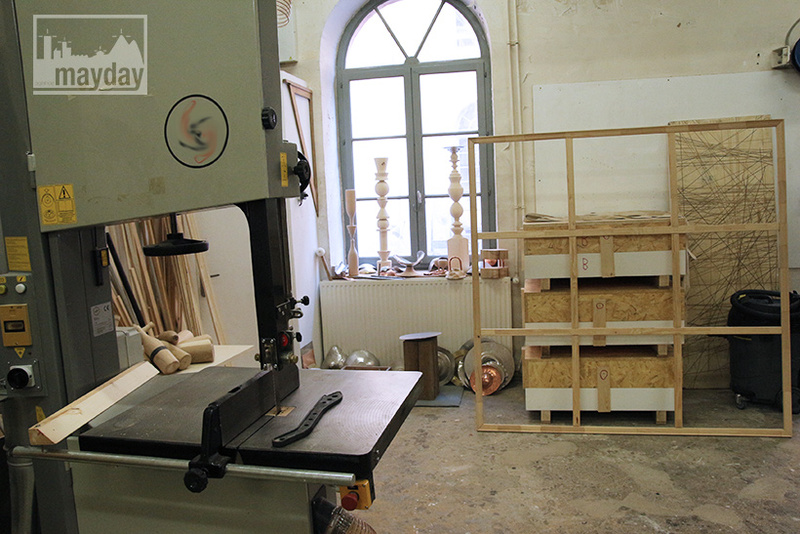 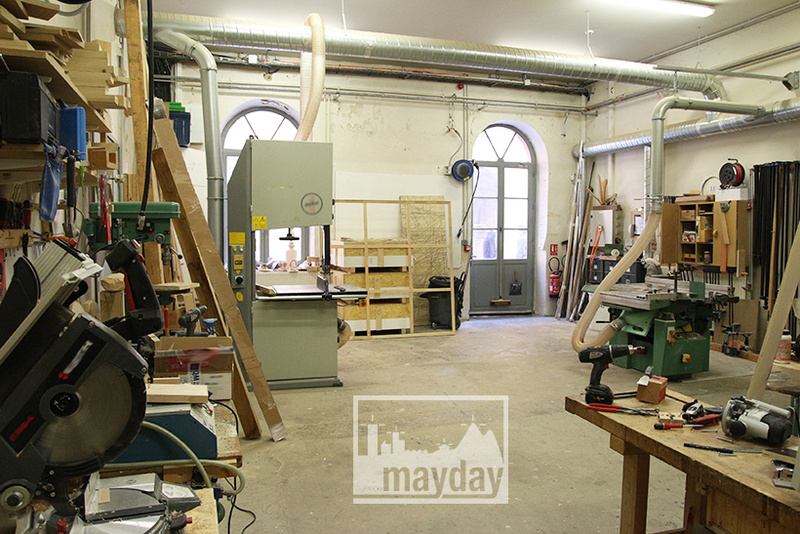 The carpentry workshop (clav0087a) | Agence Mayday, scouting agency | Best location for your project concerning : feature films, TV, commercials, promos, photo shoot & events. 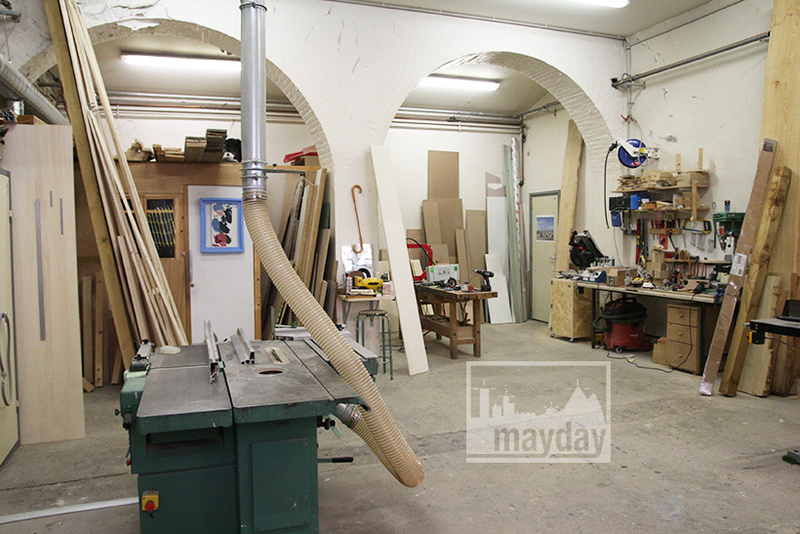 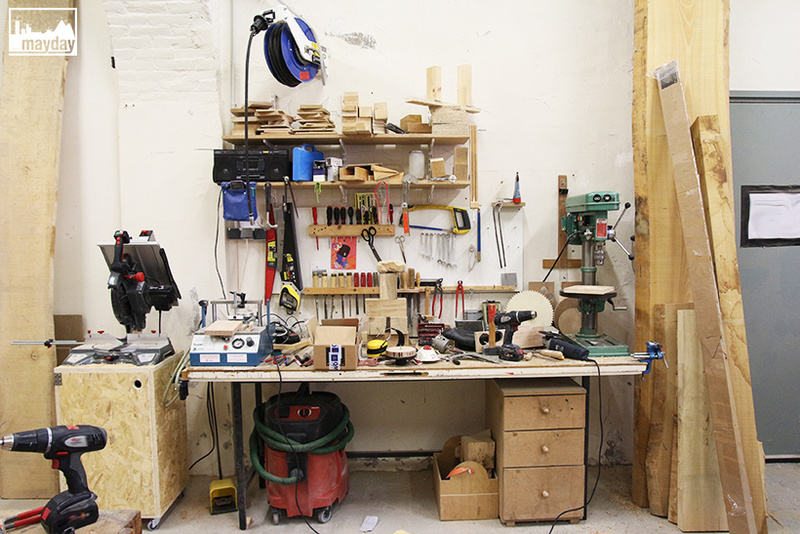 A carpentry workshop situated in a typical worker shops backyard. 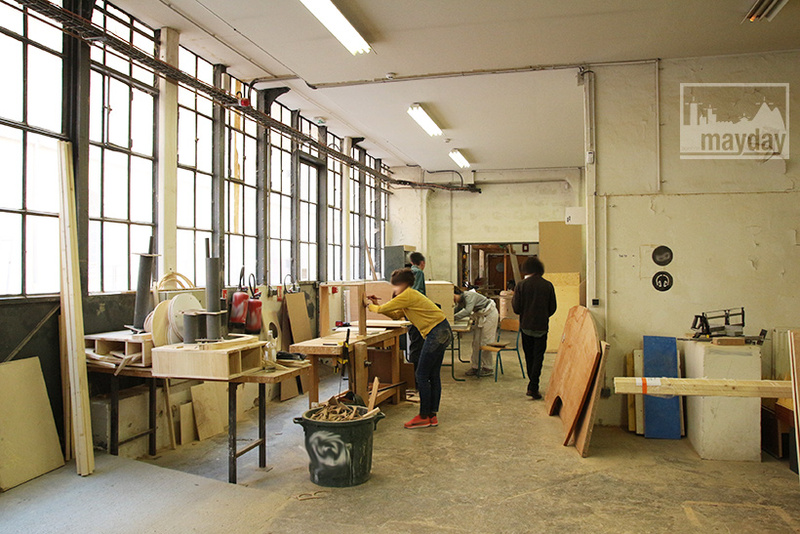 Glass metal wall on a side, high ceiling, neon light installation and concrete ground.